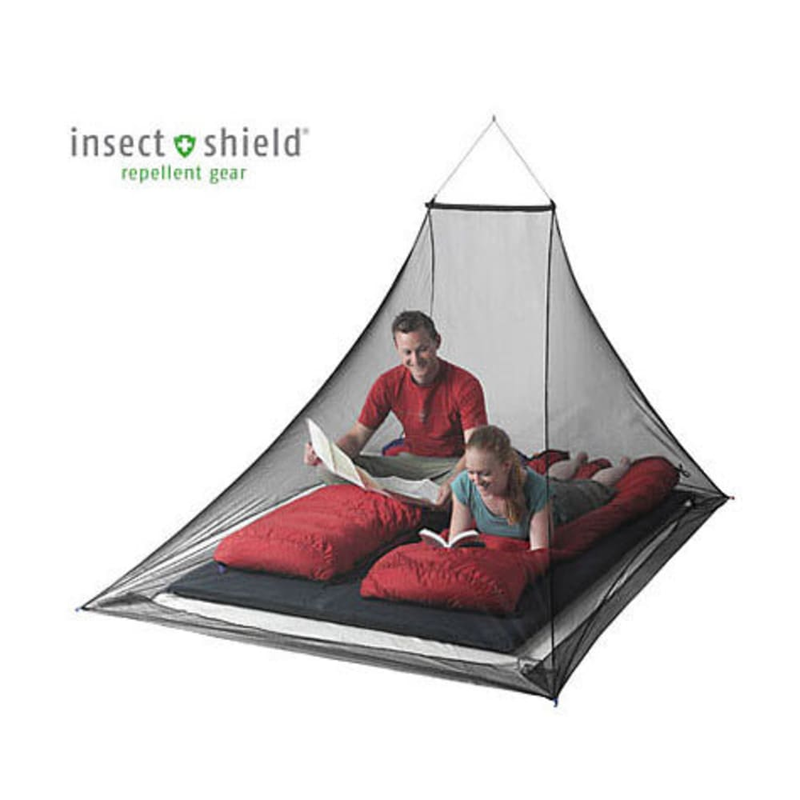 Featuring Insect Shield treatment, the Pyramid Net provides essential protection against mosquitoes and other bugs. Comfortably fits two average-size adult sleeping bags; ideal for trekking, traveling, and wilderness camping. 22 in. spreader pole packs down to 6 in. Dimensions: 4 ft. 3 in. (height) x 7 ft. 10 in. x 5 ft. 6 in.